Toshiba has this week slashed the prices of its Toshiba Excite 10 tablets reducing the price of the Toshiba Excite 10 16GB version down to just $300 from $449, with the 64GB version now reduced to $350, for a limited time. Toshiba launched their new Toshiba Excite 10 worldwide around four months ago, but the higher price for the tablet may have hindered its sales, especially now with Google’s Nexus 7 tablet available for under $200. To recap the Toshiba Excite 10 is equipped with a 10.1 inch LCD capacitive touchscreen sporting a resolution of 1280 x 800 pixels. Its powered by a 1.2 GHz quad-core NVIDIA Tegra 3 processor supported by 1GB RAM, and runs Google’s Android 4.0 Ice Cream Sandwich (ICS) operating system. 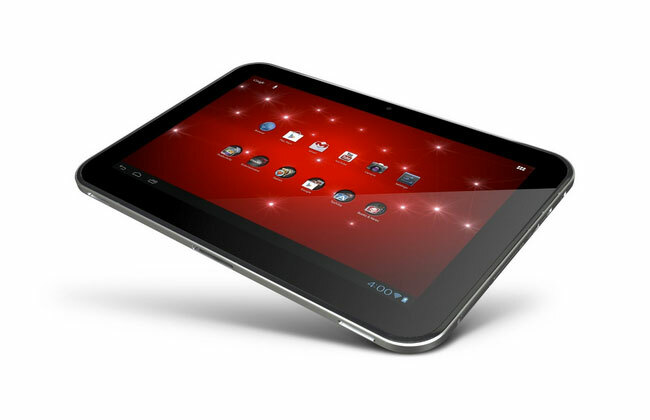 Other features of the Toshiba Excite 10 tablet include Wi-Fi 802.11 b/g/n and Bluetooth 3.0 connectivity, together with Micro HDMI port, Micro-USB 2.0 port and Lithium Polymer battery providing 10 hours of use between charges.